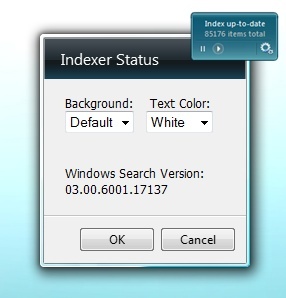 Monitor and control the Windows Search indexer from this handy gadget! Enable “Index Now” functionality. This disables the “Back Off” functionality of the indexer for faster indexing.